SNAP is the Supplemental Nutrition Assistance Program funded by the Federal Government. 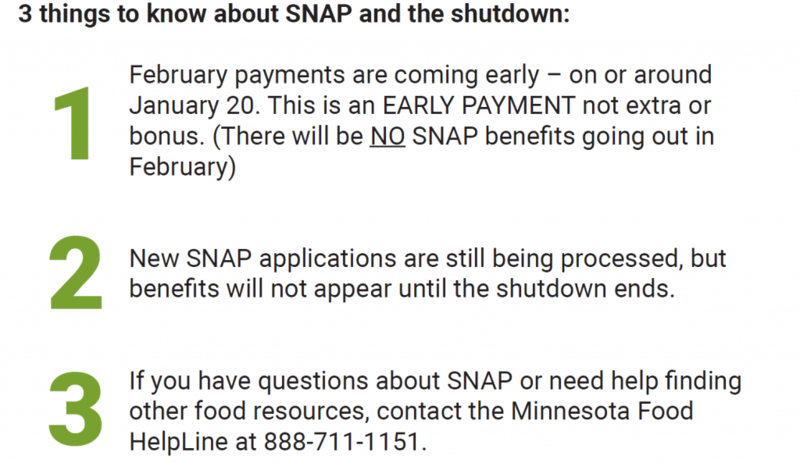 If the shutdown continues, there is a strong reality that people on SNAP will not receive their food benefits. If you are in Winona County and need help with food for any reason, please don’t hesitate to visit Winona Volunteer Services, 402 East Second Street or call us at 507.452.5591. We will make sure you have the food you need for you and your family.